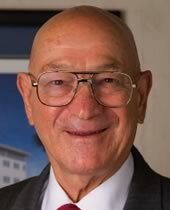 On June 3, 2008, at the age of 70, Richard “Buzzy” Gaiennie broke ground on the future home of Bridge House, the internationally heralded drug and alcohol rehabilitation program he has guided since 1984. When they move in next month, Bridge House staff and residents will enter a $10 million, state-of-the-art facility with significantly enhanced capacity to serve the program’s mission of rebuilding lives. Bridge House is a mission of love for Buzzy Gaiennie. A recovering alcoholic now 35 years sober, Buzzy experienced first-hand the seductive and destructive power of addiction. He witnessed as it claimed the lives of friends and even his parents. Determined to resist that same downward spiral, Buzzy fought and prevailed against his own addiction. Life experience taught Buzzy an invaluable lesson — how to take control of your own life. Buzzy felt compelled to share this lesson and help others escape their pain and start new, productive lives. Twenty-five years ago, he was the sole employee of Bridge House. Buzzy has since grown the organization to 65 employees, increased the annual budget from $120,000 to more than $6.5 million, expanded the program to other cities and countries, and saved thousands of lives along the way. Unlike other national recovery programs that rely on federal funds, 85% of Bridge House funding is self-generated through such enterprising outlets as thrift shops and refurbishing donated cars for re-sale. These programs do more than generate funds; they help transition many Bridge House residents back into the work force. The new home of Bridge House is built on a foundation of personal growth and accountability. It reflects the lifetime of experience that Buzzy transformed into hope for others. Buzzy Gaiennie is a living testament to our ability to learn from life and effect positive change with that knowledge. Richard “Buzzy” Gaiennie… Peoples Health Champion.